▼ 49. 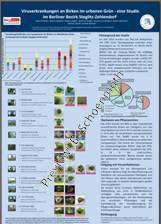 DPG-Arbeitskreistagung "Viruskrankheiten der Pflanzen"
Click on thumbnails to enlarge posters! 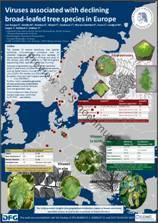 Viruses associated with declining broad-leaved tree species in Europe. Electrolytic disinfection of nutrient solution to prevent dispersal of plant viruses in irrigation water. Emaraviruses in woody hosts – how far can you count? A novel virus is associated with the ringspot disease of Common oak (Quercus robur). Strategies for the implementation of a certification program for virus-tested plant material in Colombia. Dispersal of plant viruses in irrigation water prevented by electrolytic disinfection of nutrient solution. Viruses associated with diseased broad-leaved tree species in Europe. Viruserkrankungen im urbanen Grün – eine Studie an Birken im Berliner Bezirk Steglitz-Zehlendorf. Posterbeitrag, Deutsche Baumpflegetage, 25. bis 27. April 2016 in Augsburg. Tagungsmotto: " Zukunft Obstbau "
Ein neuartiges Virus ist mit dem Ringfleckensyndrom der Stieleiche (Quercus robur L.) assoziiert. Empfehlungen für nationale gesunde Pflanzenmaterial auf der Grundlage der vorläufigen Viruserkennung in drei wirtschaftlich wichtige Exportprodukte aus Kolumbien. Untersuchungen zur Anwendung von Pflanzenschutzmitteln in Möhre und Frischkohl in Deutschland. Investigations of pesticide use in carrot and cabbage in Germany. Erste Erfahrungen mit der elektrolytischen Wasserdesinfektion zur Behandlung von Nährlösung in einem Gewächshausbetrieb. First operating experience with an electrolytic water disinfection of nutrient solution in a greenhouse production site. Förderung von Nutzarthropoden in der Gehölzproduktion durch Einsaaten. 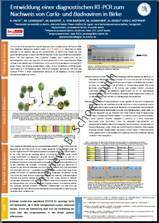 Promoting beneficial arthropods in nursery production by the use of sowings. Die Entwicklung einer diagnostisten RT-PCRR zum Nachweis von Carla- und Badnaviren in Birke. 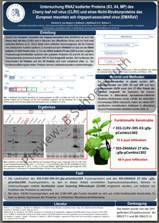 Development of diagnostic RT-PCR for the detection of Carla- and Badnavirus in birch. Viruserkrankungen an Birken im urbanen Bereich - eine Studie im Berliner Bezirk Steglitz-Zehlendorf. 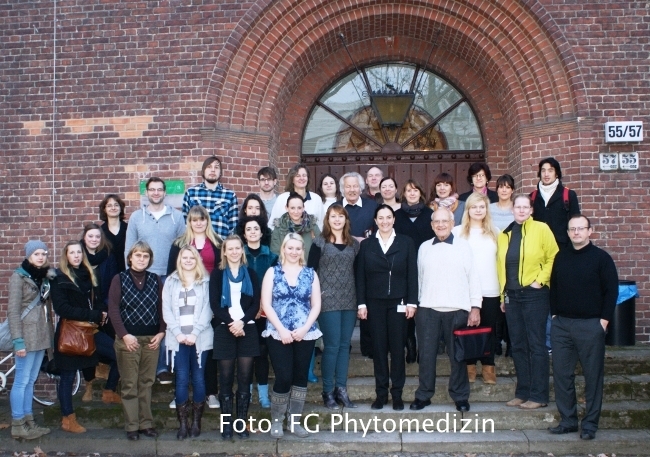 Viral diseases in birch in urban areas - a study in Berlin Steglitz-Zehlendorf. Virale Erkrankungen im urbanen Bereich – eine Projektskizze für Berlin. 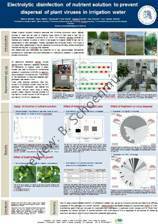 Investigation of viral diseases in declining birch trees in urban green – a continuative study in Berlin. 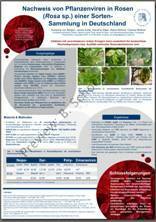 Untersuchung RNA2 kodierter Proteine (X3, X4, MP) des Cherry leaf roll virus (CLRV) und zweier Nicht-Strukturproteine des European mountain ash ringspot-associated virus (EMARaV). Investigation of RNA2 encoded proteins (X3, X4, MP) of Cherry leaf roll virus (CLRV) and a non-structural protein of European mountain ash ringspot-associated virus (EMARaV). Nachweis von Pflanzenviren in Rosen (Rosa sp.) einer Sorten-Sammlung in Deutschland. 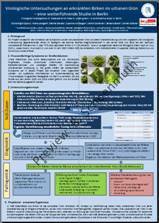 Detection of plant viruses in roses (Rosa sp.) from a German rose collection. Viral presence in birch in urban areas – a study case from urban green of Berlin. Roadside trees as well as trees in parks and public gardens increasingly show defoliation and degeneration leading to tree felling. 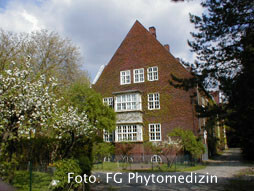 In Berlin biological causes of felling are predominant, whereas the proportion of storm damage, accidental and other damages is low. Recently, viral plant diseases attracted attention as causal and/or contributing factor in the decline of trees in urban green. In early summer of 2015 and 2016 birch (Betula spp.) road side trees were inspected in Steglitz-Zehlendorf, an administrative district of Berlin. Samples were taken from tree crowns exhibiting virus-suspected leaf symptoms like mottling, chlorotic ringspots and line patterns and have been investigated by molecular biological methods (RT-PCR). The diversity of observed symptoms indicates a mixed infection. 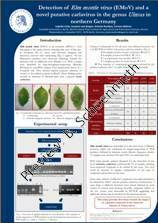 Cherry leaf roll virus (CLRV) and Apple mosaic virus (ApMV) were identified using established protocols. New genetic information derived from NGS data enabled the detection of two non-characterized viral species of the genus Badna- und Carlaviruses. For the detection of these viruses, a method for routine diagnosis was developed and applied to investigate birch leaf material gained from diseased and asymptomatic road side trees in 2015 and 2016. 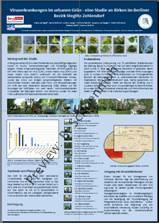 Discovery of novel emaraviruses in diseased broad-leaved tree species . 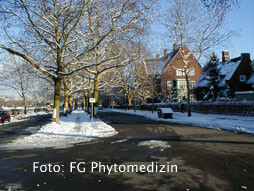 A novel virus is associated with the ringspot disease in Common oak (Quercus robur) . Abstract: A virus-associated birch epidemic constitutes a serious current problem for the birch forests and urban stands health throughout Europe. The disease was first recognised as a phytopathological problem in Finland and was described as 'birch leaf-roll disease' in 2006. Diseased trees exhibit foliar disorders including vein banding, leaf roll, chlorosis with subsequent necrosis gradually leading trees to decline. 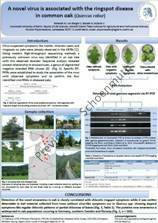 Transmission by grafting from symptomatic Betula pubescens donor trees from Rovaniemi, Finland, to non-symptomatic B. pubescens seedlings was successful and the grafted seedlings developed symptoms similar to those of donor trees. 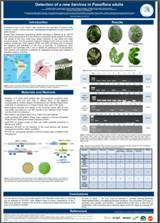 NGS data obtained by RNA-Seq analysis using leaf tissues from the grafted seedlings as well as from the original donor trees showed that the grafted B. pubescens seedlings were predominantly infected by a novel putative Badnavirus genus member. Badnaviruses are double-stranded DNA pararetroviruses and one of the eight genera of the family Caulimoviridae. They have bacilliform particles and replicate through an RNA intermediate, like retroviruses. The new virome data offer new interpretations regarding the cause of the 'birch leaf-roll disease', including the possible involvement of either the new Badnavirus or a complex of viruses. The novel Badnavirus is suggested to play a principal role in the disease development, as different lines of evidence suggest its episomal, infectious activity. 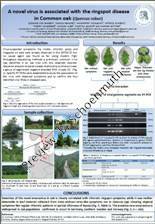 Detection of Elm mottle virus (EMoV) and a putative novel Carlavirus in the genus Ulmus in northern Germany. 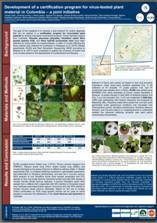 A new plant virus in Quercus robur – a case study of a conservation seed orchard. Common oaks (Quercus robur L.) with virus-suspected symptoms such as chlorotic ringspots and spots have been described in several surveys focusing on nurseries, forest stands and urban green space since the 1990s. Some of these plants exhibited degenerated twigs and suffered from a distinct loss of vigour. So far no pathogens were determined to account for the disease. Just recently, we identified a novel Emaravirus in an oak seedling of a gene conservation seed orchard by high-throughput sequencing. The detection of the virus is closely correlated to the observed discoloration. Oak seed orchards aim to support the conservation as well as the development of forest genetic resources provide healthy propagation material. A long-term survey on the occurrence of plant viruses in a gene conservation seed orchard is presented. This orchard with common oak was established in 1992 in North Rhine-Westphalia with three year old seedlings (origin 817 01, provenience 'von Plettenberg/Hovestadt'). Since 1994 the 3.1 ha orchard comprising 186 taxons, was inspected and sampled at least once a year. The distribution of the characteristic symptoms in the orchard is shown over a period of 20 years and linked to the detection of the novel Emaravirus in individual trees. 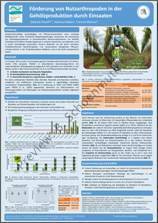 "Future Agriculture: Social-ecological transitions and bio-cultural shifts"
Development of a certification program for virus-tested plant material in Colombia – a joint initiative. 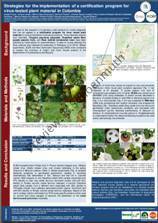 Detection and Characterization of a new Ilarvirus in purple passionfruit (Passiflora edulis).